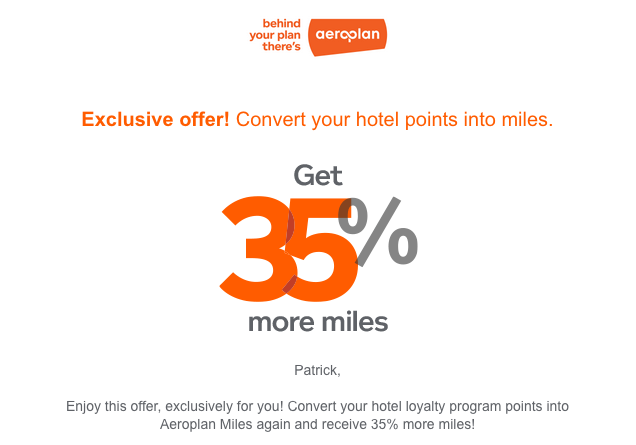 We see the return of the Aeroplan hotel loyalty program conversion bonus! Last seen in November, the hotel only transfer bonus is back and as we have now become accustomed to it is a 30% bonus. 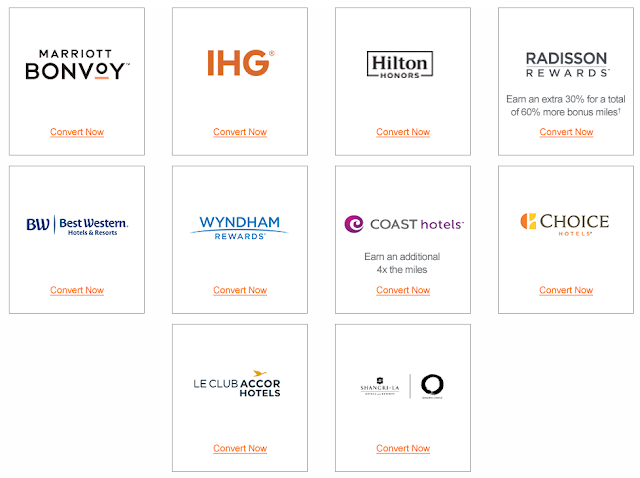 There are two programs offering more miles however, Radisson Rewards is adding in an additional 30% for 60% total while Coast Hotels Coast Rewards is giving 4x Aeroplen Miles. You'll have until April 22 to make any transfers into Aeroplan. This bonus offer is a good way to use up some of those orphaned hotel points you may never use if you are a frequent Aeroplan redeemer. The great news for the spring version of this bonus is that Marriott Bonvoy is included again, well last time we still knew it as Marriott Rewards. Marriott (and its subsidiaries) have the best transfer ratio to airline programs at a rate of 3 Marriott Rewards points to 1 airline mile but they also add in 5,000 more miles when you convert 60,000 points at a time. 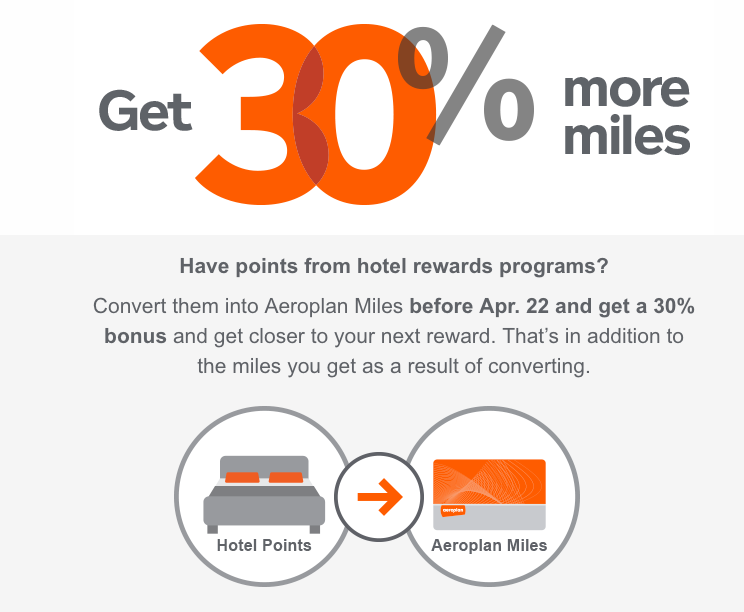 That means with this promotion 60,000 points transferred to Aeroplan will net you 32,500 miles (20,000 miles at 3:1 + 5,000 miles from Marriott + 30% bonus). The easiest way to earn Marriott points in Canada outside of actual hotel stays is with the Marriott Bonvoy American Express Card which at the time of this post is offering 60,000 points as a welcome bonus. Now chances are you won't have the points post from the card in time for this iteration of the Aeroplan transfer bonus but you can start banking on the summer bonus which typically comes around August. This is also a good time to convert points from something like the Cobalt Card to Marriott to Aeroplan! I did receive it and many of our readers have let us know that they have received it as well!